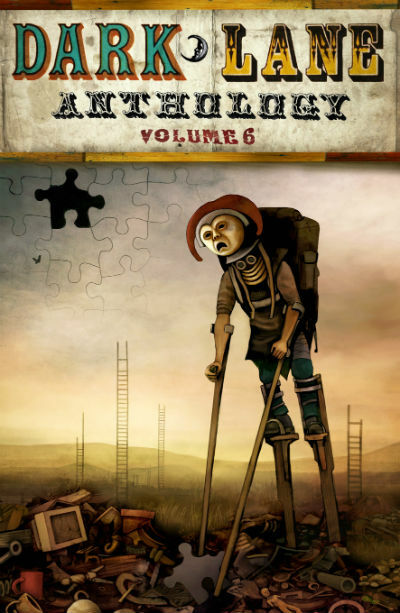 Dark Lane Books released Dark Lane Anthology Volume 6 in January 2018. It contains one of my stories called 'The Keith of Death'. Ariel Dodson, Ben Edmunds, Charles Wilkinson, Christopher Fielden, Gary Power, Giselle Leeb, Gregory Wollos, Ingvar Hellsing Lundqvist, James Hartley, Jeff Meyers, Jeremy Hill, Laura Maria Grierson, Megan Taylor, Robert Pope, Tim Jeffreys, Timothy Delizza and Tushar Jain. The book contains some fabulous illustrations. They were created by Andrea Adams, Sally Barnett and Vikki Yeates. The Dark Lane anthologies are published by Dark Lane Books, a small, independent publishing house based in Bristol, UK. Dark Lane Books specialise in curious tales, written in an original, weird style. The Dark Lane Anthologies are usually published twice a year. They specifically ask for 'weird' tales, so if you have a quirky writing style, it might be a good place for you to submit your stories. You can find full details and submission criteria on their website. Please use the form below to leave your comments. All comments will be reviewed so won't appear on the page instantly. I will not share your details with anyone else.